We are very much part of our local community and take our cheeses to sell at shows and events throughout the year as well as at two regular farmers markets in Lewes and Royal Tunbridge Wells. On this page, you’ll find details of both markets and forthcoming events where you can buy High Weald Dairy cheese. Lewes Farmers’ Market was one of the first farmers’ markets to be set up in the country (Bath being the very first). Common Cause Co-operative ran its first pilot market in October 1998, and the market has grown in size and popularity ever since. Many of the producers have won local, regional and national awards for their produce, and some have won international awards. So if you want the World’s Best Cheese, or the World’s Hottest Chili Sauce, the Lewes Farmers’ Market is the place to come! The market takes place on Cliffe High Street (BN7 2AN) Lewes, on the first and third Saturday of the month from 9am-1pm. 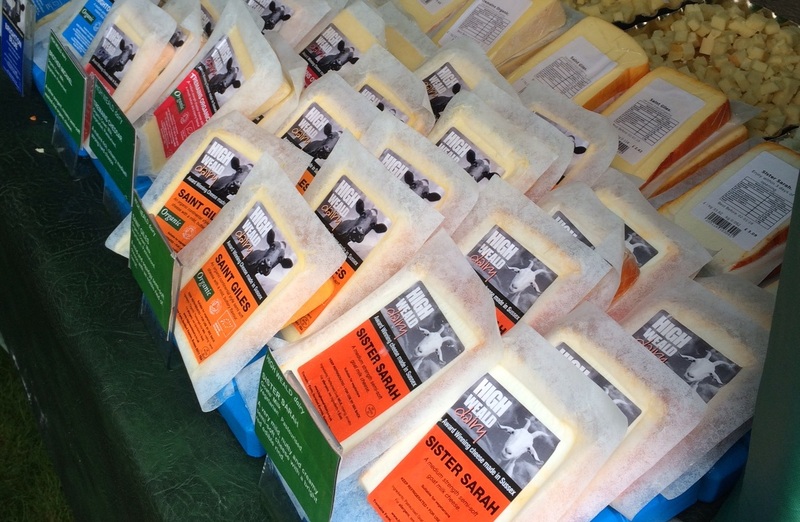 Join us in the Cheese Barn between 10am and 2pm at the High Weald Dairy on Tremains Farm near Horsted Keynes. Visit our blog page for more information.